Posted 1/7/2008 6:50am by Catskill Merino. Thursday night was cold, in single digits. 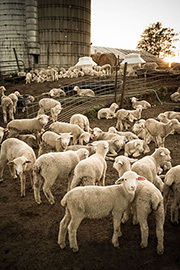 To water the sheep 50 gallon tubs are kept ice-free by 1500 watt submersible water heaters. 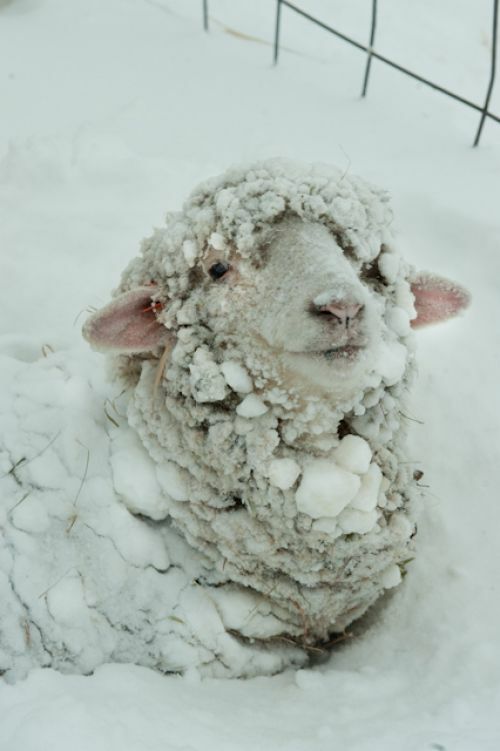 But as expected the above ground water lines (a good grade of 5/8” garden hose) to the tubs froze preventing automatic refill of the tubs as regulated by float valves and water levels when the sheep drink. Sheep need about a gallon of water a day; Friday they were out of water. There is a secondary line that runs parallel to the primary one so the tubs can be manually refilled when the primary lines freeze. The source for both lines is in the barn 100’s of feet from the tubs. After the tubs have been manually filled, the secondary line must be drained so that it doesn't freeze during the cold spell, which may go on for a day or a week or two. Draining the line is done by walking its length slowly while passing the line over the shoulder to let gravity empty it. This is cold, wet work; work to dread, but do; and feel good about when done. It's about the sheep. Even though it was in the 40's Sunday the primary lines were still frozen by the afternoon. Monday is to be in the 60's and the water should flow again until the temperature drops later in the week.